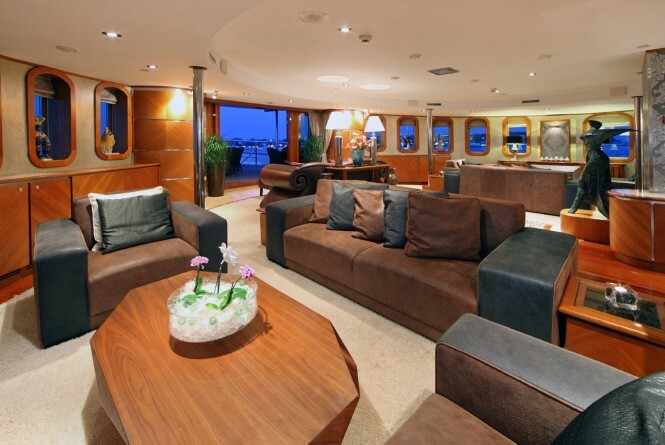 Built by Vuyk in 2005 and last refitted in 2014, luxury yacht SHERAKHAN features the exterior styling of Verkek Yachting Projects and the interior work of Rijntjes Interior Design. 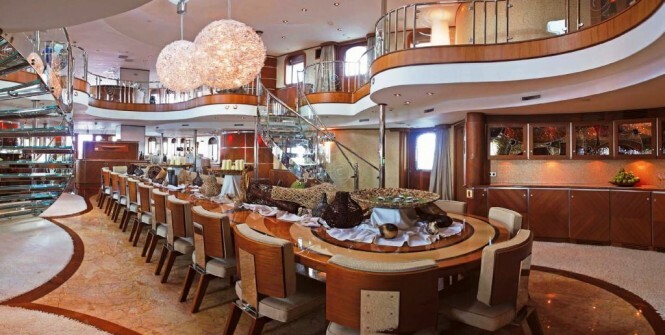 Any groups that choose her for charter will be dazzled by her exquisite interiors and amenities, which take into account dockside parties of up to 150 guests. The main salon and dining room are spaced over two tiers and connected by two glass staircases. On the lower level the elongated formal dining table takes centre stage and 22 guests will have a comfortable and memorable meal within contemporary surroundings filled with decorative details. On the higher tier, guests will have a commanding view of the action below while sitting near the balustrades, or the main salon towards the aft offers fireside seating while engaging in hobbies or conversing with friends. On the main deck aft the large outdoor lounging area is ready to receive extra guests for magical Mediterranean nights entertaining under the stars. 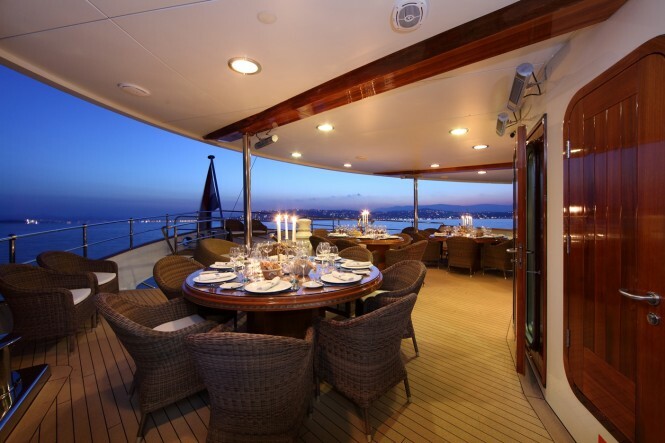 For alfresco dining, the upper deck aft has three separate tables serving up to 24 guests mouthwatering cuisine while surrounded be sweeping views of France, Italy or Greece. For rest and recuperation out in the fresh air, the sundeck is filled with sun loungers and a large spa pool to accommodate many guests at once. 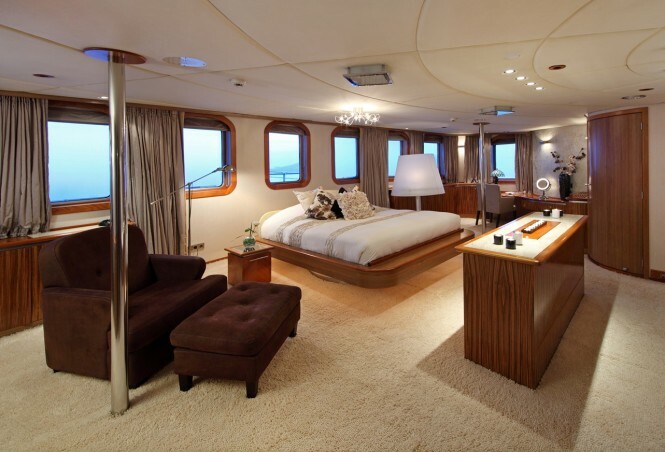 While in transit, guests can burn off excess energy in the gym, on the lower deck, or use the spa facilities which include a sauna and beauty salon. The on board accommodation sleeps up to 26 guests over 13 cabins: 1 Master suite, 2 VIP staterooms, 4 double cabins and 2 twin cabins. A crew of 19 will ensure that everyone on board has the chance to make full use of the facilities and has a first class charter experience. 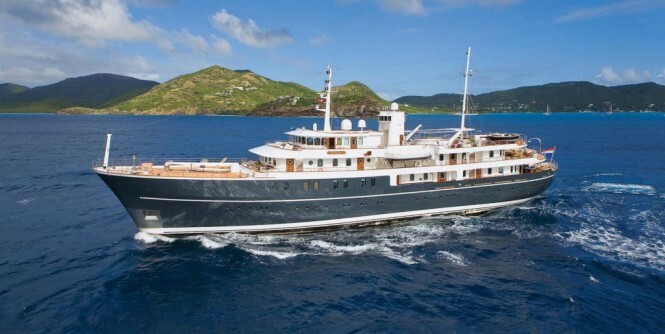 Luxury yacht SHERAKHAN is available for charter from €425,000 per week plus expenses. 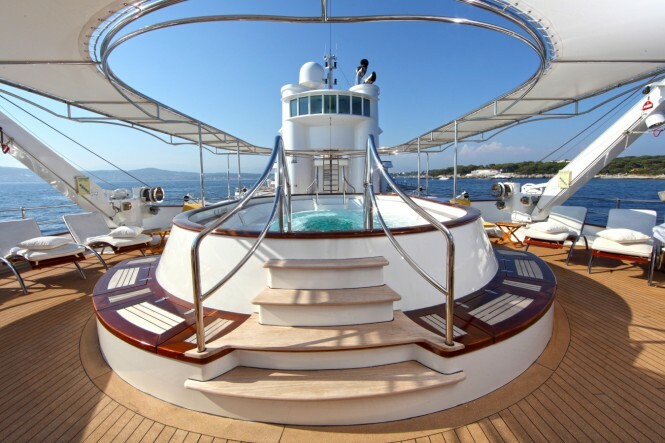 Reserve your dates in the Mediterranean and contact CharterWorld now. 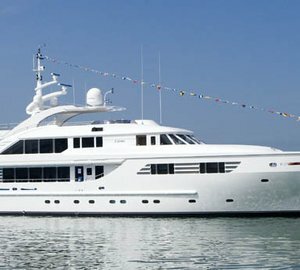 Please contact CharterWorld - the luxury yacht charter specialist - for more on superyacht news item "Special offer: Two offers for Mediterranean event charters with M/Y Sherakhan".